An event like Sausage Fest can’t happen with a lot of help from a lot of people. 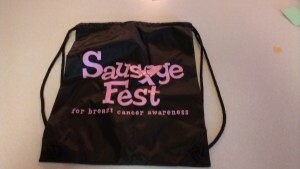 Here are the people or groups that have donated to the 8th Annual Sausage Fest for Breast Cancer Awareness. Donate today and add your name to this list of awesome people! 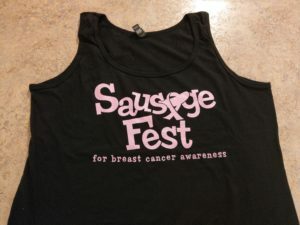 Send Email to tony at sausagefeststl.com to arrange your donation or donate via our Pay Pal button. With a donation at this level, you’ll get your name listed on the donor page along with a link back to your site. 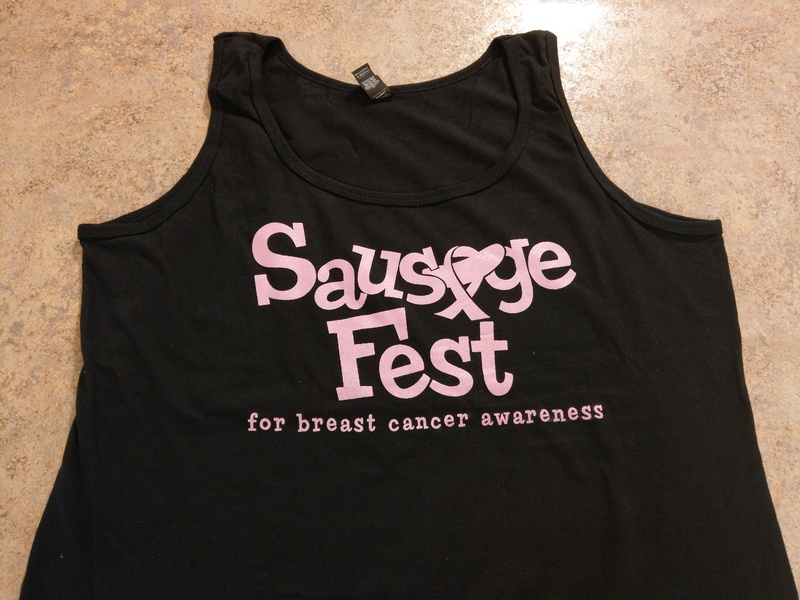 With a donation at this level, you’ll get a custom SausageFest ladies tank top. You will also receive a Hot Dog level perk. With a donation at this level, you'll get a custom SausageFest T-shirt. You will also receive a Hot Dog level perk. 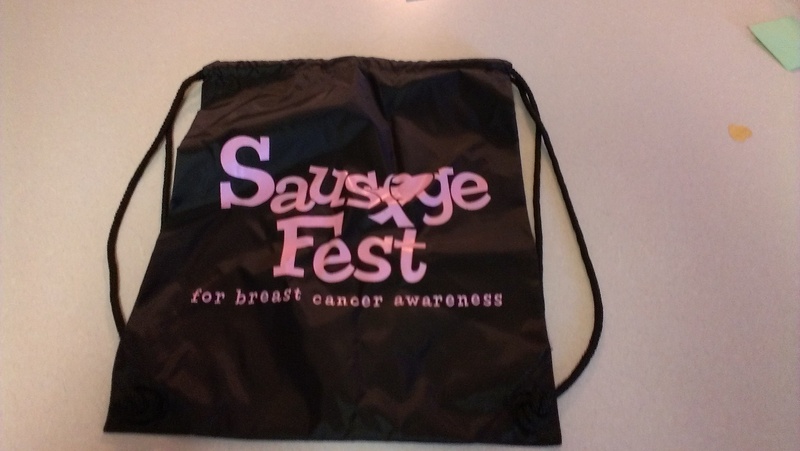 With a donation at this level, you’ll get a custom SausageFest black drawstring backpack. You will also receive a Hot Dog level perk. With a donation at this level, you’ll get a custom SausageFest Ale glass. You will also receive a Hot Dog level perk. With a donation at this level, you'll get a SausageFest Hoodie. You will also receive a Hot Dog level perk. 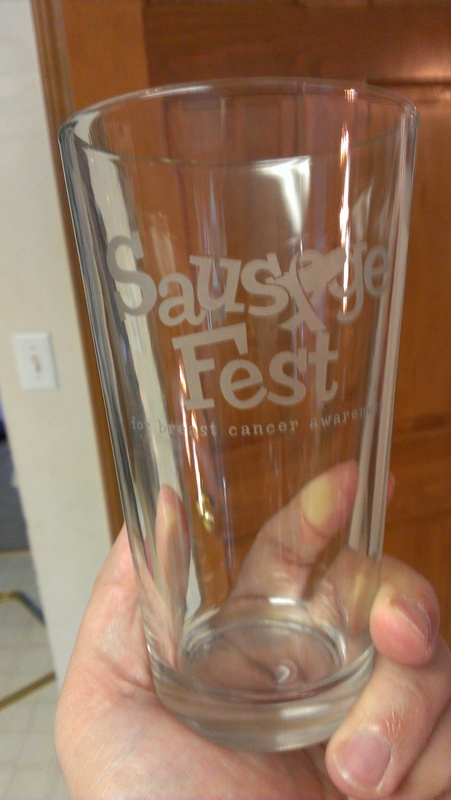 With a donation at this level, you’ll get a set of two SausageFest Ale glasses and a SausageFest Hoodie or two SausageFest T-shirts. Other mix and match options available. Tony will be in contact when you place your donation to get your order. You will also receive a Hot Dog level perk. With a donation at this level, your name or logo will appear on the flyers displayed throughout Archon advertising SausageFest 9. You will also receive an Andouille level perk. Perks and levels are subject to change based on availability. If you have donated at a perk level, you are guaranteed to get the perk for the level you donated even if the levels change. Heck, if we add more, you might even get a few bonus goodies. So give early, give often! 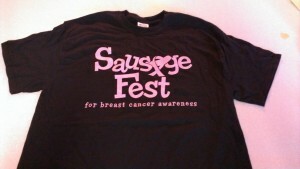 Send an email to tony at sausagefeststl dot com for information about how you can donate!